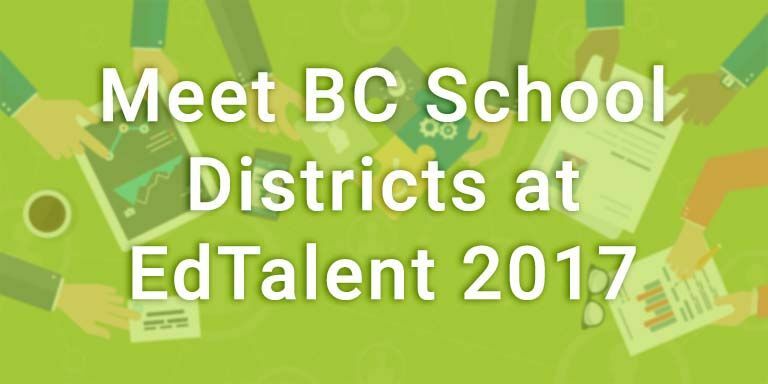 Meet BC School Districts in Toronto and Get Hired! 15 BC school districts will be in Toronto on Friday, November 17, 2017 for the EdTalent Education Job Fair. Recruiters and school principals from British Columbia will be actively sifting through crowds of Ontario teachers eager to apply for nearly 400 positions available in BC school districts. The event takes place from 10 am to 3 pm at the Westin Harbour Castle Hotel’s Metropolitan Ballroom. Several districts will be scheduling interviewing potential candidates ahead of the event and afterwards. If you’d like the opportunity to potentially interview with school districts, register here, and we’ll put in you in touch with these school districts. Please note that not every school district will be interviewing prior to the event. If you’d like us to connect you with a particular school district, register here. What subjects/grades can you teach?